"There's a technology aspect to DevOps, but it's never been about technology. It's always been about the infrastructure-as-code movement. Automation in general isn't the reason. It's a given. " 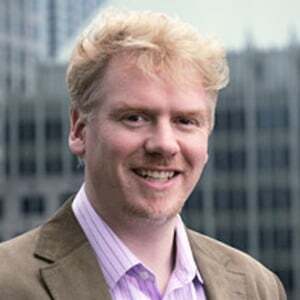 Gareth Rushgrove is the editor of one of the most widely read newsletters in the DevOps community, The DevOps Weekly Newsletter. Through his work with the newsletter, he has gained a unique perspective on the community as a whole and what it will take to move DevOps into the next phase. In this “Innnovator’s Journey” profile, we speak with Gareth about his first encounters with the DevOps community, his motivation for engaging with the community and his desire to grow DevOps beyond its current boundaries. Mark Miller: What is your background? How did you get started in technology? Gareth Rushgrove: I got started in technology early. I was at school. The school had just got its first couple of computers. I was lucky enough to be one of the people who got to use that. A lot of it was just interest, I think. From that, just picking up computers, picking up books, reading, then, continuing that through into University. I studied physics, but I did a lot of experimental design work. Some of that was using computers. But it wasn't until I left University that I got into programming properly, into development properly, into operations properly. Mark Miller: How old were you when you saw that first computer? Gareth Rushgrove: I have no idea. Let's say 10. Mark Miller: Wow, very young. Gareth Rushgrove: I might be wrong. Somewhere around that. Mark Miller: As you came out of University, you started working in technology industry. Do you remember when you first heard about DevOps? 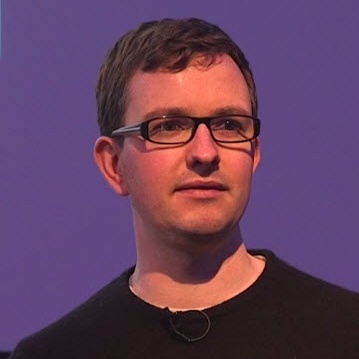 Gareth Rushgrove: I first heard about DevOps much later on, really. One of my colleagues, Dean Wilson, whose a really, one of the other people who've been sort of influential in the DevOps community, especially like before the DevOps word. I was working with Dean and a bunch of other people. Dean was one of the people at the first DevOps Days event in Belgium. I wasn't at that, but Dean came back and said "That would have been up your street." He's very much on the system administrator's side. I was like much more working on the development side, but doing bits and pieces with them, with the operation team at the time, and I went along to the next one. I went. That was in Hamburg, and the rest was history, really. Mark Miller: Did you realize what was happening along the way? Did you realize something new was happening? Gareth Rushgrove: I think I realized that it was interesting. It was interesting to me. It was a bunch of people talking about things that I was doing or seeing with other people, but I don't think at the time I realized just what it would become now. I think most of the people there at the time were, we were practitioners. I think that's still true of the DevOps community. It's a group of people whose job is to do this, as opposed to necessarily strategize and plan, and it's been really interesting from that group of practitioners, seeing the high-level conversations coming and seeing the interest in DevOps from larger organizations, from CIOs down and from the press. It's sort of not what any of us saw coming the first few events, which were very practitioner-based, but very much about sharing like what people were doing and an enthusiasm for doing it. Mark Miller: I read an article last week that said that DevOps has peaked, and I was kind of thinking, "What is the guy thinking about?" What's your perception on where DevOps is now? Gareth Rushgrove: Well, defining DevOps is always interesting. As a movement, as a community, and that's how I think of it first, it's certainly not peaked. I was having a look just yesterday. The number of DevOps Days events already planned for this year is more than the DevOps Days that were ran last year in total. I don't know how many there'll be by the end of the year, but it'll be pushing sort of 30, 40 events, and that's just that there community-organized events by people who are interested, that give up their free time to organize these things, and that's the practitioner side. In terms of actual adoption, I think we're very early, and most organizations are not doing ... they're not sort of well-integrated. They're still siloed. I think DevOps isn't about the technologies. The technologies will keep changing and evolving, improving. Other technologies will come along. It's about that culture of wanting to do operations better and work as teams better, and I think ... I don't think many places statistically are in a place where they say that's a solved problem. Mark Miller: Wondering what your perception is of Gene bringing the DevOps Enterprise Conference over to London. Are you going to get excited about that? Gareth Rushgrove: Yeah, I'm really looking forward to the DevOps Enterprise in the UK. It's one of those conferences I've missed the last two of, unfortunately, due to timing more than anything else. Either I was in the US just before or I was in the US just afterwards, so I've been sort of gutted to missed out so far, so I'm really looking forward to it being super-easy for me to get to. I think that in the UK as well there's a sort of, and especially London, a sort of financial services sort of crew will like definitely be along to that sort of event. It's really interesting seeing DevOpsDays London, which is coming up just next week, and I'm speaking at that, and that's being organized by people at Barkley's, Acenture, some of these financial powerhouse organizations in London, and just the idea that that's happening now, and it's not just ... It's not just people from startups talking about things. It's people from banks, financial services, governments. Not just talking about things. Even organizing the events themselves. Mark Miller: What is your motivation for working with DevOps? I know we don't probably think about that on a daily basis, why we do stuff, but can you pinpoint your motivation? Why are you in this community? Gareth Rushgrove: I'm in this community partly for learning. I've learned a huge deal from the people who were there originally. It's just a nice group of people. I think everyone is open to learning. Everyone's open to teaching. Everyone's open to sharing. It's been really an ideal community of people to correspond with, to talk to, and again, like just improve. I like to think I contribute to that, I’ve helped with people getting into that, and I think that that community also keeps me there as much as anything. It's the evolution of DevOps is going hand in hand with the evolution of the practice of software development and operations. I think it's just a good place to be for someone like me, who's interested in both. I've been at different times just a software developer, just on the operations side. I enjoy the messy sort of middle. I like things that are both technical and people based, and DevOps is just a really good group of people to talk about those topics. Mark Miller: You are one of the key communicators in the DevOps community with your newsletter, and I would assume that you're very proud of how that's taken off and is working for you. Gareth Rushgrove: Yeah. The DevOps Weekly Newsletter has been a really interesting lens on seeing things grow. I think when people say, "Oh, it's peaked," I can see it through the writing of people that's not the case, as much as anything. I can see new people joining, like being interested in that community, every day, every week, through new subscribers, through emails from people who've sort of joined and then discovered jobs, new tools, new practices. It's sort of made their work life better, hopefully. That was, again, a total accident. I did a lightning talk about where the newsletter actually came from at the Fifth Anniversary DevOps Days in Ghent, and I think I said, the last slide of that was very much "Never put weekly in the title of everything." You're sort of then tied to it. I say that only in ... well, only partly in jest. It's just been a really interesting lens, and I keep doing it because of the feedback I get, I think, at this stage. Mark Miller: It's interesting that you have a different perception of this because of the newsletter. What do people need to get started in the DevOps movement? When you're looking at, when people are writing to you, what are they looking for? Why are they trying to get started? Gareth Rushgrove: It varies wildly. For some people, it's very technical. It's very technology-driven. They've found a tool they like, but they don't know where it sort of fits in, or they're trying to work out where it fits in, or in some cases they're interested in, their managers interested in making their organization more functional, more fit the purpose. I think a lot of it is people see things, not just through the newsletter but through the internet, through the press, through the sort of technology buzz that everyone has a sort of sense that things can be better. Whether that's sort of talks from conferences, articles that are coming from this unicorn-esk organizations where things look amazing and futuristic, and I think a lot of people are questioning "How do we get there? That seems a million miles away," and then just finding small, bite-size things that they can do to continuously improve, I think forms the basis. Then you just do that over and over again until things are getting better. I think by having that sort of many small practices, many small wins, many small improvements mentality, I think it draws people into thinking about DevOps and thinking about their jobs in a much more big-picture sense and away from thinking about it in terms of this specific technology and this specific technology and how do they interact, and to questions of process, questions of service management, questions of just management, management theory, and that's been really interesting to watch, and participate in. It aligns with my interests, as well, so again, that's why it's always been sticky for me. Mark Miller: You mentioned two things there which are interesting. One is that DevOps isn't a huge tidal wave that hits a company. It's an incremental growth. Is that correct? Did I read you correctly there? Gareth Rushgrove: Yeah, I think in lots of cases it is. I think in lots of cases it's not about nothing happening one day and the next day someone saying, "Right, we're doing DevOps," and suddenly everything. Where it tends to work best is where there's buy-in from both practitioners on the ground but also management to make the space and allow change and allow experimentation. Mark Miller: You also mentioned in that comment "management theory." Is that a skill that you would recommend the next generation of DevOps practitioners actually study? Gareth Rushgrove: There's an increasing interest in people management, in organizational management, in strategy, in lots of DevOps flavored conversations. I think a lot of it's been there for quite a while, in around talking about lean management, in particular. That's sort of like a thread of lean is definitely been there from some of the early DevOpsDays events, from some of the early DevOps conversations, and John Willis has been one of the people that's been really positive about that, and telling that story. Other things as well. There are people who are interested in both sides. I think DevOps is quite happy as a community to not exclude things. I think security is another great topic where the first maybe year or two of DevOps was very focused on developers and operators, but as it's enlarged, as it's got bigger, as it's got more interesting, as the people there have changed and adopted, or the communities have definitely become part of it, and I think that people interested in lean and agile have definitely been part of it. People interested in and working more in a security role have definitely become part of it. Mark Miller: It seems to me that a lot of DevOps has to do with management. It's trying to get teams to talk to each other, as much as anything else. Sure, there's technology, sure, there's automation, but a lot of people now are working towards how do you manage disparate teams. Are you seeing that? Gareth Rushgrove: Yeah. I think that's why DevOps hits a chord with CIO magazines and CIOs and people in IT management positions. Yes, there's a technology aspect to it, but it's never been about technology. It's always been about the the infrastructure-as-code movement. Automation in general isn't the reason. It's a given, and I think there's a lot of social changes led by those technologies making it more central to DevOps as a movement, as a practice. Mark Miller: If you could make up your own title to tell people what you do, what would your title be? Gareth Rushgrove: In some cases I've been in a position where I have been able to make up my title, and I think that changes depending on what I'm doing and who I'm talking to, or it's something that's sort of less specific, more boring, more generic, which then gives me the sort of space to move about. I'm pretty bad about being constrained, and I think titles are an interesting way of a constraint. I think it would change all the time, depending on what I was doing or trying to communicate or get across. Mark Miller: One of the things I think about daily, Gareth, is what can I leave this community? What will my legacy be as I move on? What do you hope your legacy is going to be? Gareth Rushgrove: I think in terms of, as I say, in terms of inclusivity, not drawing edges, not drawing boxes and boundaries and saying "Oh no, that's DevOps, and that isn't." To me it's always been a word that drew people together, that got people thinking. Meta conversations about adding other words to it miss the point that it's just letters, it's just a banner, it's a unique sign under which we can have all sorts of conversations. I think hopefully that anyone can come and talk, anyone can come and be part of that community, and in all the things I do, whether it's writing software or talking about software, or talking about practice and process or releasing the newsletter, it's that. Come be involved, come be part of it, come learn with everyone else.